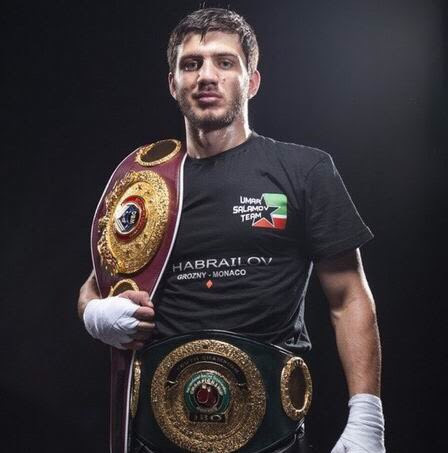 Last Saturday night, world-rated light heavyweight Umar Salamov (WBC #10, WBA #10, IBF #7 and WBO #10) continued his march to a world championship challenge with a dominant unanimous 10-round decision over Emmanuel Anim of Ghana. Fighting in the main event at the Galaktika Culture Centre in Sochi, Russia, Salamov (23-1, 17 KOs) controlled the pace and was able to land countless combinations against the very durable Anim (13-2-1, 11 KOs) to win by scores of 99-91, 97-93 and 98-92. In the process, Salamov defended his Eurasian Boxing Parliament and WBO International Light Heavyweight Championships. Salamov’s promoter, Dmitriy Salita, says the great 2018 his Russian fighter enjoyed was just a preview of 2019. “This was Umar’s third fight in six months and he was in superb condition,” he said.